The room was big enough for 2 people, the bed was okay and the bathroom also. Big and good breakfast. The B&B is really near to Killarney's shopping roads, so this has been a good deal. Overall very good but breakfast was a bit disappointing. Hello!! We were there two weeks ago. I think our bedroom was the badest nº 1 because it is at the street level and its view are to the parking, con a lot of noise and .little privacy. The bedroom was simple, comfortable bed and and the shower did not work, the water ran cold. The breakfast was very good and the personal also. In fact, we did a discount of 15 euros for the problems with the shower. Had a wonderful night and the breakfast was fantastic and delicious!!!!!! Breeda Bridie was great, down to earth and the perfect hostess. If/ no, when I visit Ireland again - I will definitely stay at her place!!!!!! Absolutely loved it and it's in a great location - easy walk to town!!!!! It is a lovely B&B. Great locations and very nice people. The only negative side is the rooms are cold and the breakfast is not the best. We stayed for four nights and it was great. 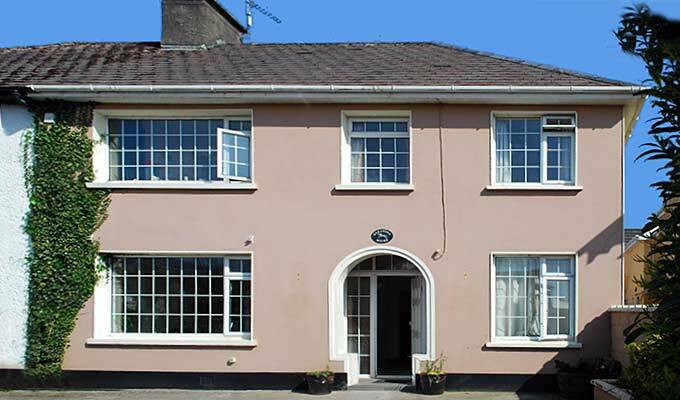 Nice B&B with friendly admosphere located near Killarney park entrance, Ross Castle and city centre. Acomodation somewhat dated but for this price we cannot complain. Very friendly staff also Spanish speaking and very nice breakfast. We loved our stay here and will definately book Cherry Tree again if we travel to Killarney. Due notti passate qui in una doppia. Stanza di dimensioni discrete con bagno in camera. Bagno, televisore e mobili moderni. Infissi e alcuni accessori datati, ma sopratutto quello che colpisce è la moquette del corridoio e della camera dall'odore un po' stantio vista l'umidità irlandese non credo sia una soluzione ideale per una struttura ricettiva. Abbiamo dovuto chiedere il phon perché non era presente in camera. La stanza dove si fa colazione è gradevole. Pulizia accettabile. Comunicazione buona. Abbiamo visto diversi ragazzi gestire la struttura, di fatto ce ne siamo andati senza capire chi fosse il proprietario. Ideale per brevi soggiorni. Non di lusso. stayed as a family.staff are great.breakfast was lovely.clean and tidy.thankyou. we will be back. I had been promised gluten free bread on the breakfast but didn't get it the first morning. Otherwise I don't have any complaints, the two women working at the B&B were really nice and polite, the breakfast was good and the location perfect. My wife and I stayed for 5 nights, The Staff were excellent especially the young ladies who looked after breakfast, The house is centrally located a 5 minute walk to Towm Center. The rooms and Linen were spotless, We definitely will be back. I enjoyed staying at this B&B. My stay at the Cherry Tree B&B was very correct; the best, for me, the service!!!! and the location. If we come back to Killarney we will repeat. Thank you.